When you download content from onlinefuneraltemplates.com, you are granted a limited, revocable, non-exclusive, non-transferable license to download such Digital Content to your computer solely for your personal non-commercial use. You shall not copy, reproduce, distribute or use the Digital Content in any other manner. You shall not sell, transfer, lease, or distribute the Digital Content in any manner and you shall not exploit it commercially. Distribution is only allowed for purposes of the product’s intended use, example, for friends and family at the funeral, family reunions, graduation, or other personal event. This license to the Digital Content you Download will continue for as long as your copy of Digital Content exists pursuant to and in accordance with the terms and conditions of this Agreement. 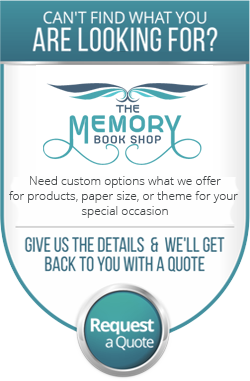 New-Atlantic Media (http://www.onlinefuneraltemplates.com) maintains exclusive rights to all memorial programs and keepsakes graphic designs contained on this website. Templates, graphics and images on this website are not to be copied, sold or redistributed. Upon purchase of any template, customers can download templates only once. Please make sure to SAVE template before editing. We guarantee the delivery of all templates via email. Templates may be re-used only by purchaser for multiple memorial programs/cards. Purchaser must own a valid copy of Microsoft Word higher in order to download and use our templates. Templates may not be resold or redistributed. We collect personally identifiable information, like names, postal addresses, email addresses, etc., when voluntarily submitted by our visitors. The information you provide is used to fulfill you specific purchase or request. We protect the security of your information during transmission by using, which encrypts information you input. Information you transmit to us is never sold to third-parties. Information we collect is only used to process your order. We may share information with governmental agencies or other companies assisting us in fraud prevention or investigation. We may do so when: (1) permitted or required by law; or, (2) trying to protect against or prevent actual or potential fraud or unauthorized transactions; or, (3) investigating fraud which has already taken place. The information is not provided to these companies for marketing purposes. Information you transmit to us is never sold to third-parties.